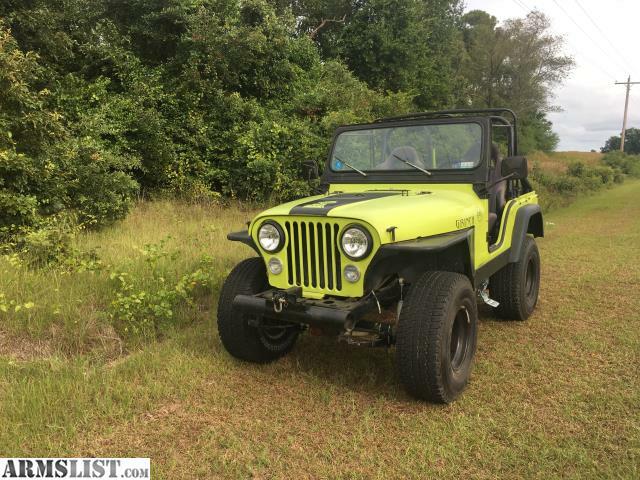 78 cj5, manual 3 speed with a fuel injected 304. Runs great and fires right up. New within the past year- tires 33/12.5 15 destination at, leaf springs, shocks, steering stabilizer, master cylinder, composite headlight assemblies, led turn signals with new lenses, tail light lenses. Has a soft top that could be replaced. Has minimal rust for a 40 year old vehicle. Speedometer doesn’t work. Comes with some extra parts.